Cheap Treats are products I love that are fewer than $10 that have a multitude of uses. 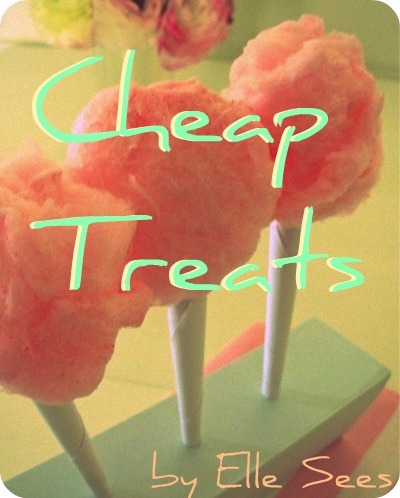 Check out past Cheap Treats here. Baby hair--If you have "baby hairs" around your face, these brushes do a great job in keeping them in place. And this is so much better than the usual advice of an old toothbrush. Flyaways--Sometimes regular brushes can pull the hair out of the bun or pony you worked so hard to smooth. But with a smaller brush, you can focus on just the hairs you need to put back into place. Make sure to use hairspray on the brush. Tease--Believe it or not, the interdental brushes can be used to tease very small sections of hair. If you have very thin hair, this will work for you best, but it worked for my thick, coarse hair. Toothbrush--I'm just saying I've only used this out of desperation, but it worked. Mini-mascara--sometimes you may love a mascara formula, but not the brush. Or maybe the brush has gotten unusable. Instead, paint a little on the tiny brush and use like regular mascara. It works. 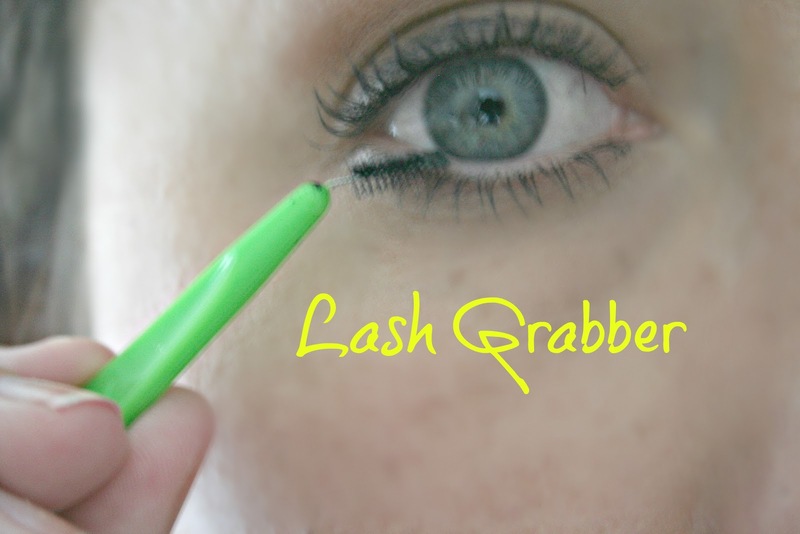 Lash grabber--Most mascara wands are too big for my bottom lashes, so I use the interdental brushes instead to avoid mascara all over my face. Notice how I bent the brush--another plus to get those hard-to-reach lashes, like the ones closest to my inner corners. 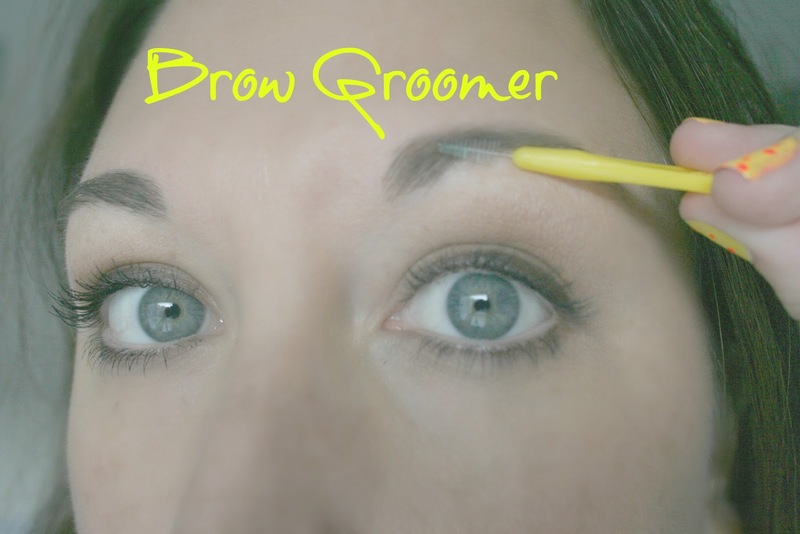 If you have sparse or short lashes, give this a try. 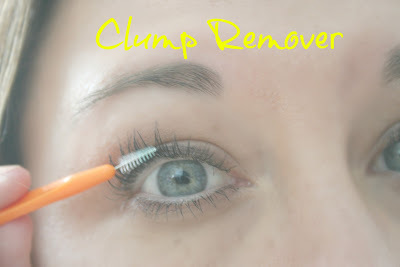 Clump remover--Try using a clean spoolie (mascara wand) or one of these brushes to remove clumps. Sometimes I'll rub a little bit of Chapstick between my fingers and then apply to the brush before using it on my lashes to remove clumps. Nail art--I've used these for all sorts of nail art. If you'd like a tutorial, let me know. Craft projects--I've used these for painting, applying glue, among other things, and have even snipped the brushes off to make trees. Mini-broom--Don't cry over spilled glitter or even eye shadow, use this brush to help you sweep up small dry spills. Hair brush--I use these to clean out my regular hair brushes. Nails--The brush is great to clean underneath long nails. Nozzles--Use the brushes to clean clogged nozzles, like on hairspray, or contact solution that has saltified (yes, I made up that word) by scrubbing. I've used a brush to clean out the clogged salt/pepper shakers before. Eye/Lip pencil sharpeners--The interdental brushes are just the right size to clean out those eye/lip sharpeners. Nooks, crannies, & crevices--If there's a small place that needs to be cleaned, like your computer, phone, inside of your car, purse, or around a sink, try these brushes. Doll hair--Try an interdental brush on your child's dolls' hair--this works best on Barbie dolls and similar dolls. Root helper--To hide grays or roots, put product on your hair and brush it through. The brush is easy to manipulate through the hair to make sure strands are temporary covered. 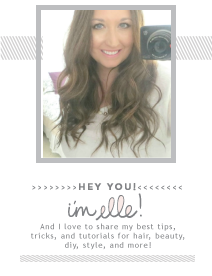 Check out my ways to hide grays/roots here. Exfoliate lips--Before you apply lipstick, make sure your lips are exfoliated and then moisturized. Use this just like you would a toothbrush on your lips (again, I can't use an old toothbrush, ew). Check out my DIY Lip Scrub if you'd like to make your own (scroll down on that post) and scrub with the brush. What other uses do these brushes have? wow!! how interesting and creative!! thanks! Wow, I have to go pick this up to groom my eyebrows!! We have a lot of these lying around. Thanks, this is awesome! What a great idea! My sisters both used to have braces and I have never thought about using those, genius! Great ideas! These would be great for cleaning jewelry as well! that's awesome! I had braces-so I should go look for these! you are so creative with everything you do! i love it! This is really interesting and very creative. Oh, how I wish I had half of yours skills. I thought people used those to clean the stem in their bongs. I had braces & I never had these. Seems like I need them now! Wow, I would have never thought to use those brushes for all these things! I love the bottom lash idea--regular mascara wands make a mess when I try to do my lower lashes! Great ideas! I gotta say that is DARN smart! Haha so many great ideas! But my fav is using it as a mascara wand...I ALWAYS have trouble with those tiny bottom lashes. Gonna try this. So funny because I had braces but I never used these things. And now, I feel like I would most likely use them for nail art. Wow! I love the idea of using them for your bottom lashes. oh my gosh! i didn't realize they had so many wonderful uses. that is awesome!!! gotta try them! Love this spin on how to use these brushes. I never would have thought to use them as mascara brushes, but that's definitely genius in my book. that's something! I did have braces and I still do have a couple of brusehs, so I'll put them to use if needed. These are awesoe uses! I'd never thought of that before! what smart ideas!!! i love it. seriously, doll's hair is the worst! I had no idea there was so many uses. Nice! I love it!! Love when you can find multiple uses for one item. Ha ha ha.. Perfect post. I like it. Great. 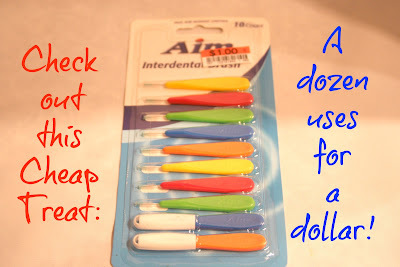 I had absolutely no idea that these dental brushes had so many uses, I am off to steal some from my brother's practice. I think the idea for teasing hair is really great, won't damage it as much. Adorable blog! Following you on Google Connect. Hope you can share the love back by visiting my blog and following me. Elle you better shut the front door!!! 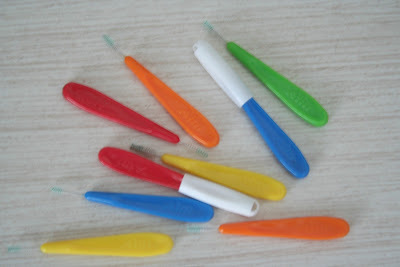 I have braces right now and I tons of these things. You just made my day with this post. I am sooooo bookmarking this!!! 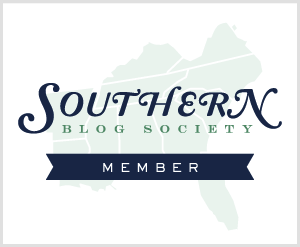 Thanks for showing a blog newbie gal love. I hope you can link up one Wednesday for Hump Day Mani. 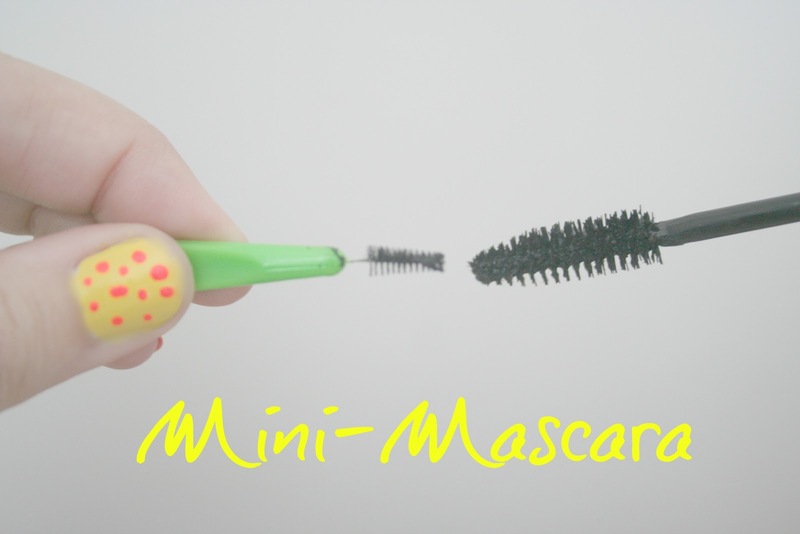 i would LOVE to have a mini mascara... it would come in handy for all those little lashes! You are basically the Martha Stewart of beauty products - thanks for the tips and i'm picturing these as adorable little trees now! Woah, such a good idea to use that as an eyelash de-clumper! definitely going to have to get those brushes. These are so cute -- love the colors! -- and they look useful, too. Thanks for sharing! This is amazing! Those brushes are def handy. Wow! I would have never thought of that...I love repurposing stuff. I've never heard of these, but I will definitely keep my eye out for them now. Thanks! Love that mini masara stick - what a great idea!